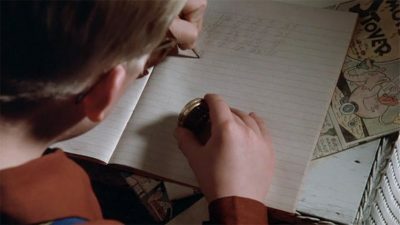 What would Ralphie say about our fascination with Qanon? I can’t help but wonder if we are being played. Like many others, I can’t resist looking for the next coded message from the top secret source in the White House. But then I remember this hilarious moment in the movie, “A Christmas Story,” and pull back a bit to get a clearer perspective. Not saying Q is a hoax, but simply recognizing how similar Ralphie’s enthusiasm was to mine. PS: In case you wonder where I stand on this subject, I stand with you… and Q. In fact, I feel so strongly about it that I built the little Q animation below. This entry was posted in Humor and tagged A Christmas Story, Little Orphan Annie, Ovaltine, QAnon, Ralphie, secret decoder ring. Bookmark the permalink. Are we being played, could be, but I don’t think so. We are into our 14 th month of some very interesting information. Too much of what we have read rings with truth and facts. But, above everything else, true or not, it is working. It is giving us hope, where we had little and it is uniting us. This group of people have put in numberous hours and for that we need to be grateful. We can choose which to believe, I choose to be a believer. What else do we have? What else do we have? I have my faith in Jesus Christ! As long as Q-believers don’t invest either money or daydreaming-instead-of-action in Q’s coded messages, I don’t really see any harm in all this. At a minimum, Q provides hope in the midst of darkness, and some relief from the Left’s incessant lies, threats, distortion of truth, politicization of everything, and outright physical assaults. Best Christmas movie ever made.